Katherine Ketcham devoted four decades to researching and writing about addiction--but none of that prepared her for what she would face in her relationship with her own son. 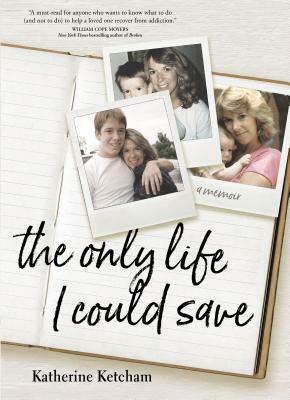 The Only Life I Could Save is a raw and moving memoir of heartbreak, healing, and profound transformation. "This book is not about Ben and his addiction journey, nor is it about the 'demon' that I lived with in my mind for all those years," she writes. "This book is about the Big Know-It-All Who Realizes She Doesn't Know a Damn Thing. Except this one daunting truth--the only life I can save is my own." In these pages, Katherine Ketcham brings you hard-earned wisdom about the impact of addiction on families, the relationship between spirituality and recovery, and what she deems the most important lessons of faith, hope, acceptance, and forgiveness. For parents and siblings, educators and counselors--all of us who have been witness to the disease of addiction--here is a hope-giving book that places special emphasis on the healing side of the story: living in recovery with the support of a loving community. Katherine KetchamKATHERINE KETCHAM has been writing nonfiction for nearly 40 years and has coauthored 16 books, 10 on the subject of addiction and recovery including Under the Influence, The Spirituality of Imperfection, and Broken. Her books have been published in 16 languages. Ketcham has led treatment and recovery efforts at the Walla Walla Juvenile Justice Center, and in 2009 she founded Trilogy Recovery Community. More at katherineketchambooks.com.